DCS Multiserve has worked in partnership with the NHS for many years, providing clinical and sterile cleaning in numerous high risk environments. 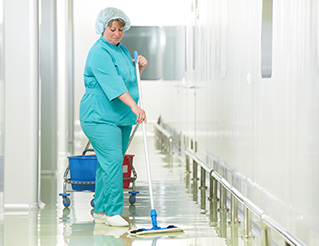 Due to our extensive knowledge and experience in the cleaning sector we continue to meet the strict cleanliness, hygiene and Health and Safety requirements of the NHS. DCS continues to provide this service to a wide range of controlled environments, including hospitals and healthcare facilities, laboratories and residential care homes. We appreciate that in these environments hygiene is paramount, and we have NHS-approved procedures in place to ensure we create a sterile environment with every clean. We apply these practices to all areas: hospital wards and washrooms, and clinical and non-clinical rooms. Our clinical operatives go through specially designed internal training systems to ensure that they are trained to the highest level, and able to take a proactive approach to achieving a safe, germ-free environment. Our clinical cleaning operatives use colour-coded equipment to prevent any cross-contamination between rooms, and use products that are safe for patients, whilst being effective at destroying bacteria. 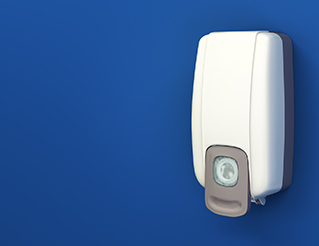 In conjunction with our clinical cleaning programmes, DCS can also provide antibacterial hand sanitising units. These units are easily fitted to any wall or partition within your business and are maintained by our on-site operatives, minimising the spread of any infections or diseases. Contact us for more information about our clinical and sterile cleaning procedures. To discuss your requirements, please call us on 0191 216 9000 or email enquiries@dcsmultiserve.co.uk.